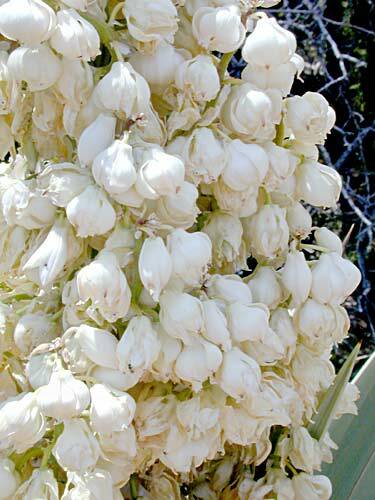 Size: White, waxy, bell-shaped with 6 pointed sepals, to 1.5 in. long, in short-stalked upright cluster. Notes: The leaves are bluish-green with reddish edges with no threadlike fibers or teeth, but sharp pointed. 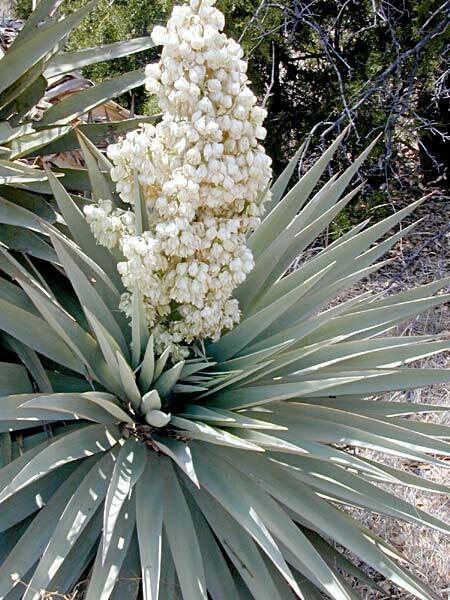 9 species of Yucca in Arizona. 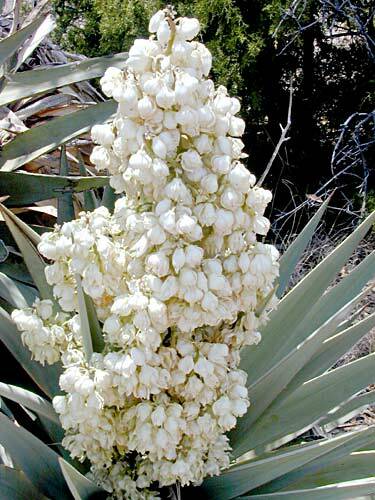 Schott's Yucca plant profile on the USDA Plants server.